Phill works to engage and connect individuals and organizations to help them reach their maximum potential. 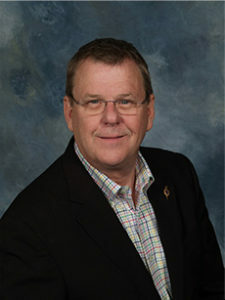 He enjoys coaching, teaching, mentoring and connecting people with information and resources. Phill graduated from Samford University, where he earned a Bachelor of Music Education degree. He received a Master of Arts in Religious Education from Southwestern Seminary and has done post-graduate work at the Jesse H. Jones Graduate School of Administration at Rice University. He is a Certified Association Executive through the American Society of Association Executives. He holds the ACC certification with International Coach Federation. He has completed church consultant training with the Center for Congregational Health in Winston-Salem, NC. He was ordained by Broadway Baptist Church in Fort Worth, Texas. Phill is a member of the International Coaching Federation, and the American Society of Association Executives. He has served on the board of the Dallas Fort Worth Association Executives. A native of Huntsville, Alabama, Phill joined the staff of TCN in June 2000 as Director of Education. In March of 2006, he became the Deputy Chief Executive Officer of the Association. In January of 2019, he was named CEO – Elect to become CEO in August 2019 at the retirement of current CEO Simeon May. Phill has completed twenty-four years service in various positions of ministry in the local church in Alabama, Georgia, and Texas. Phill is a Certified Church Administrator(CCA) by the TCN and prior to working for the association served on its board as Central Area Vice President and Senior Vice President of Marketing and Communication. Active in the Cooperative Baptist Fellowship, he has held its top elected position as moderator of the governing board 2002-03. He previously served as an at-large member of its Coordinating Council chairing the Communication and Marketing Ministry Group. In addition, he has served on their Information System Task Force to develop technology strategies for the organization and chaired the local arrangement committee for the 1998 Houston General Assembly. For three years, Gloria and Phill served as member care counselors for mission personnel serving primarily in Eastern Europe. He and his wife Gloria have two daughters and a grandson, Lauren, a Georgia Tech Industrial Engineer with a global MBA from the University of Texas Dallas works in the corporate office of Pier 1 Corporation, in Fort Worth, TX, Bruce is their grandson. Andrea, their other daughter, is a Registered Dietitian and is a graduate of the University of Texas in Austin. She works with Women Infant Children at Tarrant County Health. Gloria is a graduate of Auburn University and holds the Masters of Arts in Marriage and Family Therapy from the University of Houston – Clearlake and has a private psychotherapy practice. Forward Coaching is here to help you with next steps. Reach out if we can help in any way.